I grew up reading comic books wanting to be a superhero. Comics taught me that those who speak the truth are heroes, all the rest are liars. Speak Obama To Me, Pass The A1 Sauce, Make Mine Rare! It's not just any steak fry. 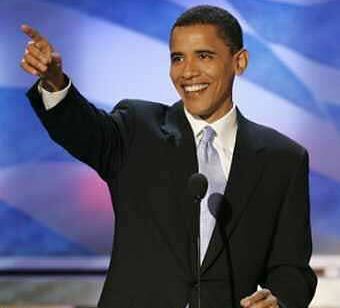 It's Sen. Tom Harkin's steak fry, the Iowa Democrat's trendsetter feast where presidential candidacies are born -- and Sen. Barack Obama of Illinois will headline in September. Obama's White House chances are set for another boost if party approves new voting calendar designed to expand influence of minority voters on choosing presidential nominee. Just so you don't think this is a total love fest, I still have some reservation. But I can't turn down a good steak. "They were told to leave"
Leave how, where? It’s not like they have cars, access to money to travel, mass transit or even have anywhere to go. Hell, it took over three weeks to get Americans out!. Hiw and where do you want the 750,000 people to go? "They are used by terrorist as shields"
Yeah, in a mall, in the basement, the safest place they could find, there were no soldiers, army, terrorist..just families with children...lots of children. "Hezbollah munitions stashed in or near them caused the building to fall." And I''m the queen of spain...er..okay reporters with video everywhere, so where's the proof? If this doesn't stink of USA misinformation corp then the pope isn't catholic. "We can’t have a crease fire or peace treaty because it will just be broken. We need a lasting settlement." Right, peace doesn’t happen until Rice-a-roni has the proper paperwork signed off on! Without the USA leveraging an immediate creasefire, this situation will continue to deteriorate. Either you demand a rapid crease fire and work during the interim for peace or you're a partner to this kind of violence. How long are civilians to wait for the paperwork on a 'lasting settlement'...it's already been 9 thousand years? The families who lose their children, brothers that lose their sisters, sisters that lose their fathers...they will now be tomorrow's new terrorist. Violence on top of endless violence. British Foreign Office minister Kim Howells to BBC in Beruit: "I very much hope that the Americans understand what's happening to Lebanon. The destruction of the infrastructure, the death of so many children and so many people. These have not been surgical strikes. And it's very difficult, I think, to understand the kind of military tactics that have been used. You know, if they're chasing Hezbollah, then go for Hezbollah. You don't go for the entire Lebanese nation." It's going to be 100 degrees today... but global warming? ...I would like to remove my name from the list of scientists who dispute global warming. I know my coauthors would as well.Peter Doran, Associate Professor of Earth and Environmental SciencesUniversity of Illinois at Chicago. We've got a plan, that a whole lot more than them! COLLEGE ACCESS FOR ALL: Make college tuition deductible from taxes, permanently. Cut student loan interest rates. Expand Pell Grants. RETIREMENT SECURITY AND DIGNITY: Stop any plan to privatize Social Security, in whole or in part. Enact real pension reform to protect employees’ financial security from CEO corruption and mismanagement, including abuse of the bankruptcy laws. Expand personal savings incentives. Fact 1: When you call the Kline Congressional campaign office and ask for Marcus, they offer to put you through to his voice mail. Fact 2: When you call Kline's Congressional District office (same building) and ask for Marcus, they also offer to put you through to his voice mail. Does Marcus work for both offices?...Must get confusing keeping his official state duties separate from his anonymous blogging duties...or does he? Does he clock out of one office and walk over to the other and clock in there? How is his payroll being kept separate...or is it? What else has Marcus been doing and has it been on the taxpayers dime? Kline's office is aware of his staff anonymously blogging...so what is his response? If not Marcus, then who was blogging? Kline? Hello, anybody there? PS. Picture of Kline and Delay. 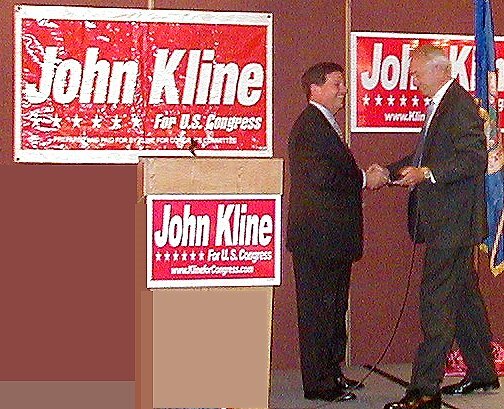 Kline still has $30,000.00 in tainted money from Delay's PAC. Wonder when (if) he's giving it back ? 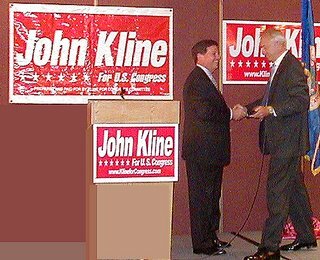 Kline, or a mini-kline campaign worker with the user name klinefan, was caught redhanded posting anonymously at Dump John Kline's blog. So was the mini-kline a volunteer or a paid staffer? Did Kline pay him by the line or the posting? Does Kline approve of anonymous attacks...well..er...since it was a staffer from his office we can only assume the answer is yes. Time to throw this bum out of office. 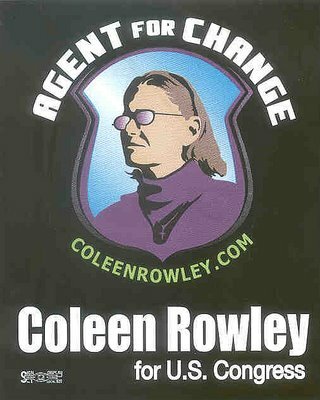 Vote Coleen Rowley for a change. In his new ad campaign Mark Kennedy tells us to sit back and learn a few things "About Mark". Mark has no shame about lying to Minnesotans telling them, he's 'independent' of any one 'party' or 'person' in Washington. To believe what he tells us several times during his ad, you would have to forgot what he's done during his career in the House. No amount of saying one thing but doing another changes the facts. Mark Kennedy has proven himself to be one of Bu$h's lapdogs by lifelong voting record that supports Bu$h 95% of the time. So why the big Mark Kennedy lie about being independent? According to the Washington Post: No modern political party has weathered a midterm election with a president as low in the polls as George W. Bush. With polling that low, Kennedy is trying to distance himself from his record. Is it too late for Mark Kennedy to re-invent himself? You betcha! Why has the strib for weeks on end examined every administrative infraction of Ellison's but failed to equally cover Ember Reichgott Junge's falsely claiming that she has DFL party's support? Where's the same zealous overboard reporting? Hmmm...what could be the reasons for this difference? 3.04, The soaring gas price per gallon. Way up and doubled since Bu$h took office. 7 seconds, Bu$h attention span if it doesn’t include violent military action or sagebrush. 19 minutes…Defines most parenting as just another fast food like concept! I'd like to see a comparison to the time Bu$h spends vacationing while in office. $78.40, The cost of a barrel of oil. When Bu$h took office it was under $25. 100 – 150 per day, The war crime of the deaths of civilians in Iraq for last two months. 400,000 embryos languishing in storage tanks at fortility clinics in the US. - 28 is the number of pregnancies that will result from these embryos. 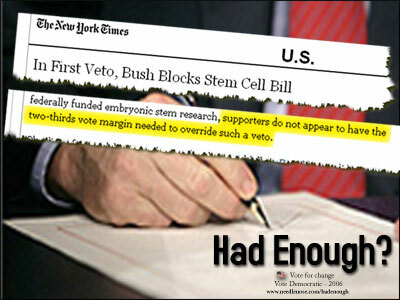 - 0 is the number of embryos that Bush will allow for scientific research. 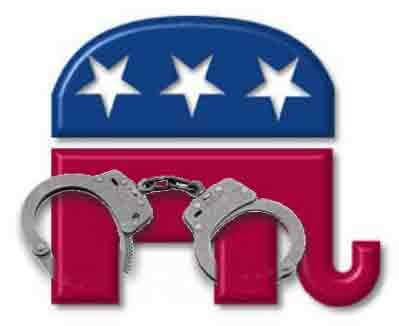 - 399,872 is the number that will be eventually thrown away by Bush's policy of life. 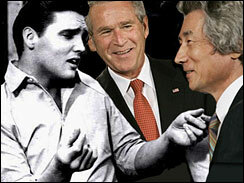 50 Million, What Elvis (yes even dead!) still earns a year. Not sure Bu$h can take credit for this but I'm sure he'll try. Must be nice to use airforce one to get to graceland, and then have a private tour. 1.2 Trillion, Cost of the Iraq war. 2 Trillion, New Updated Cost of the war. In ‘up is down’ verbiage, Tony Snow was on the Today Show and said that "Nobody Has Been More Diplomatically Active Than We Have" this would be a good time for Missy Rice to take an immediate cease fire off the table…er…wait…she has! Got to admire their faith in the ‘here after’. Just wish they would pick a way to go that leaves the rest of us. Naturally it goes without say that ww3 and the end is near. I could go on about Korea, Iran, Iraq, Somalia,,,but what's the point. Depressed yet? 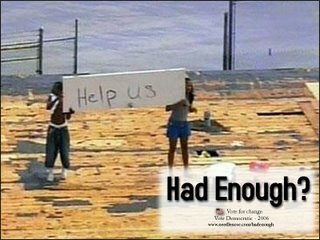 Had enough? Oh when Bu$h stumped NAACP to repeal the estate tax but didn’t mention the word poverty …well, I guess he just didn’t know that African-Americans are more than a thousand times as likely to live below the poverty line as they are to be rich enough to leave a taxable estate. Bu$h also used his veto powers for the first time. Seems like evil never sleeps. It's official...what a dink! We let a guy who barely got Cs in college make medical law decisions. I'm not holding out much hope for Americans. I use to think dark ages were in the past. Can't say I'm real surprised that Matt Entenza has dropped out of the race for Attorney General. Unless you have a compelling reason to continue as the 'it' in dodge ball, well let's just say, he's probably a lot more relaxed today compared to earlier this week. This decision will not change my desire to fight on behalf of the people of this wonderful state. This decision is the best thing for Minnesota and the best thing for Democrats. Thank you. Today we had Coleen Rowley as our live guest on the Blue America series at Firedoglake. We do this online meet-up with a candidate every Saturday at 11 AM(PST/2 PM East Coast). Coleen is an exceptional woman and an exceptional candidate and she's running against the most far right extremist in the Minnesota congressional delegation (and in a decidedly moderate district). If you're not familiar with her and her candidacy, you might enjoy going to the archives of today's Q&A and reading what she had to say. Did Someone Say Coleen Rowley Drinks Liberally? For the first time, I attended the local Drinking Liberally group last night. Something always interfers with going but since Coleen Rowley was going to be there, I decided it was time to see what it was all about. I surprised at how warm a reception the group gave. This is one big group of activist, bloggers and philosophers. I will definately make the time to attend in the future. Besides, the beer was great. "So Spotty says all you Democrats, progressives, environmentalists, and true supporters of our military, go over to her site and contribute some money to Coleen Rowley." "But perhaps most important of all, she is the person who can enumerate every single one of her opponent's failings and dangerous leanings, and when challenged why she doesn't go after Kline even harder, she quotes Martin Luther King about hating the sin, but not hating the sinner. And you actually believe this came from the heart"
Coleen speaks the truth so quietly powerful that every day her ranks are growing, but like all campaigns, money is needed to win...take the time to donate to the Agent for Change in CD2. Quick Quiz: Bu$h or Alice? Bu$hCo's whole infallability thing is more than a little creepy. It reminds me of cult like behavior. That's the thing - they've really blurred the distintion between 'reality' and their fantasy lies, presenting a mixture of both as 'facts'. 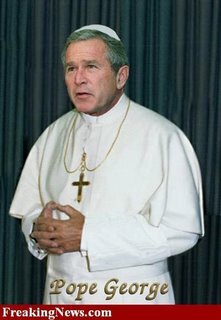 Maybe this is the start of a papal presidency like government starring the infallable Pope Bu$h aka white rabbit. Think of it, the Preznut is responsible for administration and leadership that is (or use to be) limited by both the Constitution (as defined by the Courts) and the Congress. He doesn't have the power of the purse strings, he can't make laws, and he can't substitute his judgement for that of the courts in matters of law or criminality. But you wouldn’t know that from the behavior of Bu$hCo, the media, and his cult-like brainless followers. He's seems to have been ordained...I guess I missed it but I hope to attend the tea party. At about 1:10 PM this coming Saturday, Coleen will be a guest at Howie Klein's Blue America show (a live, interactive chat session). It will take place at FireDogLake. Howie also recently posted on Amy Klobuchar on his California blog Down with Tyranny Coleen Rowley has been featured on his blog several times over the last year. One of the coolest campaign ideas I have seen. Paul Rosenthal and Jeff Rich are really being creative with their campaigns. You should really check these guys out. 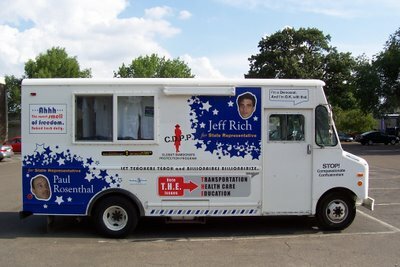 This truck is full of fun political catch phrases. See all the pictures over at MCR. These candidates deserve some attention for this! If she wins her suit, I plan to party like it's 1999! "There are not too many issues that would give common cause to Thomas Foley and Newt Gingrich. Yet there they were, sitting next to each other yesterday: the last Democratic speaker of the House and the man who ousted him to become the first Republican speaker of the House in half a century." 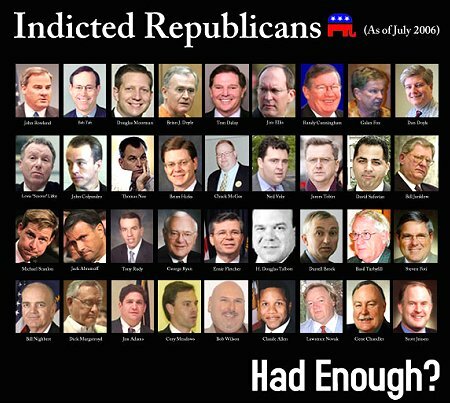 And they were in perfect harmony as they kicked around the notion of "How Congress Is Failing America." I will be supporting my opponent Amy Klobuchar in November, and I ask my supporters to do the same. 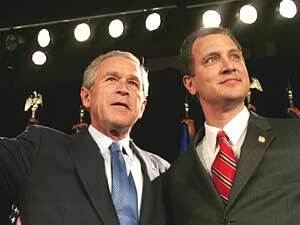 The differences within our Party are important, but the differences between Mark Kennedy, George Bush and the needs of America are much greater. This campaign may end today, but what we believe in goes on, and we will all continue to cherish and work for our beliefs. 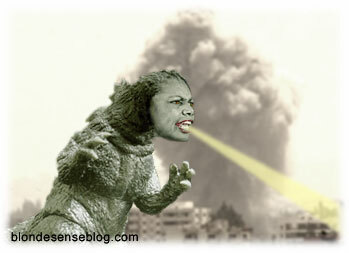 “North Korea is firing missiles. Iran is going nuclear. Somalia is controlled by radical Islamists. Iraq isn't getting better, and Afghanistan is getting worse," William Kristol, editor of the Weekly Standard and conservative commentator. Add to it Islamic militants from Kashmire, India, and thier unstable military neighbor Pakistan. It's all gone to hell. ..."This is truly a sad day for the U.N. and for those of us who genuinely care about promoting respect for human rights and religious freedom." "But this time, the situation is worse than that. As food in the refrigerators spoils, the only remaining food is grains. Most people cook with gas, but with the borders sealed, soon there will be no gas. When family-kitchen propane tanks run out, there will be no cooking. No cooked lentils or beans, no humus, no bread ­ the staples Palestinian foods, the only food for the poor. (And there is no firewood or coal in dry, overcrowded Gaza. )"And yet, even all this misery is overshadowed by a grimmer fact: no water. Gaza's public water supply is pumped by electricity. The taps, too, are dry. No sewage system. And again, word is that the electricity is out for at least six months." "The Gaza aquifer is already contaminated with sea water and sewage, due to over pumping (partly by those now-abandoned Israeli settlements) and the grossly inadequate sewage system. To be drinkable, well water is purified through machinery run by electricity. Otherwise, the brackish water must at least be boiled before it can be consumed, but this requires electricity or gas. And people will soon have neither. "Drinking unpurified water means sickness, even cholera. If cholera breaks out, it will spread like wildfire in a population so densely packed and lacking fuel or water for sanitation. And the hospitals and clinics aren't functioning, either, because there is no electricity." "Finally, people can't leave. None of the neighboring countries have resources to absorb a million desperate and impoverished refugees: logistically and politically, the flood would entirely destabilize Egypt, for example. But Palestinians in Gaza can't seek sanctuary with their relatives in the West Bank, either, because they can't get out of Gaza to get there. They can't even go over the border into Egypt and around through Jordan, because Israel will no longer allow people with Gaza identification cards to enter the West Bank. In any case, a cordon of Palestinian police are blocking people from trying to scramble over the Egyptian border--and war refugees have tried, through a hole blown open by militants, clutching packages and children." "In short, over a million civilians are now trapped, hunkered in their homes listening to Israeli shells, while facing the awful prospect, within days or weeks, of having to give toxic water to their children that may consign them to quick but agonizing deaths." "The astonishing scale of this humanitarian situation is indeed matched only by the deafening drizzle of international reaction." Mark Kennedy Is Mean, Rude, Offensive and Thoughtless. Number one, He said this in public at a parade around kids. What kind of role model is that to say something so inflammatory and polarizing around youth? Think of the hurt if the kids have Democratic parents? Hell, I was hurt and I'm not a kid! Number two, How can voters/taxpayers expect Kennedy to work toward any bi-partisan legislation given his attitude and what he's says?…Obviously Mark Kennedy won’t work with all elected officials to help all Minnesotans. Number three, His 'over-the-top statement' that slanders so many shows a complete lack of professionalism, discipline and ethics. Yes there’s probably some democrats that lie, just as some republican’ts lie, but not all of ‘em, all of the time, not even him! "This is truly a sad day for the U.N. and for those of us who genuinely care about promoting respect for human rights and religious freedom." How can Kennedy respect human rights of another country when he doesn't respect the rights of all Minnesotans? Is that even possible givcn the level of intolerance he has to half of all Minnesotans? He's asking to be elected to a position where he's suppose to represent all Minnesotans...By his behavior this weekend Kennedy is mean, rude, offensive and thoughtless. But most of all, Kennedy showed he's not capable of representing Minnesota. He's in New Hampshire. He's making a political speech. He’s sitting in his air-conditioned office on his big, fat backside-saying stay the course. That’s not a plan! Just in case you forgot why you hate him…reason 33949393939: Go F Yourself? an expose on the tearing off of mattress tags? Ellison wasn't black or muslim? I can't hear you over the wedge issues! "It is a vital matter. Why? Because it was necessary to "send a message" to the Supreme Court. And what's the message? 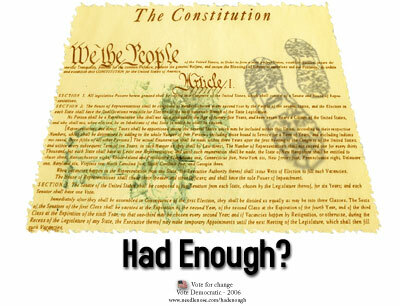 "You cannot usurp the power of the Congress of the United States." I see. 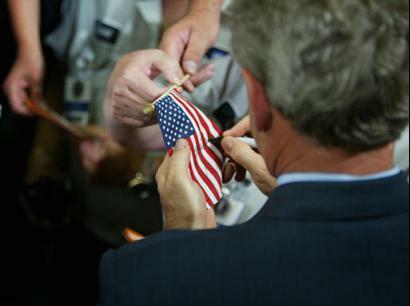 This is not really about safeguarding the Stars and Stripes. This is a spite match. Congress several years ago passed legislation to ban flag burning. The Supreme Court ruled, you can't do that (because that would infringe on free speech rights). So now Congress had to strike back. So Hatch is saying.,..it personal.. But if that's true, then why does Congress (and Hatch) not seek to pass a constitutional amendment every time the Court overturns a law? The GOP effort to win congressional approval of this proposed constitutional amendment--months before an election-seems related to issues other than ensuring the right checks and balances. Care to guess what they are?" "When freedom's just another word with nothing left to lose"
Coleen Rowley- One Voice, Or The Truth? In the last few years, speaking the truth has become an act of rebellion, as it threatens abuses of power sustained by unprecedented secrecy. CIA reportedly shuts down anti-bin Laden unit. A former CIA official who once led the unit, Michael Scheuer, told the Times that its shutdown was a mistake. "This will clearly denigrate our operations against al Qaeda," he said. I guess I'd like to know what could be more important? 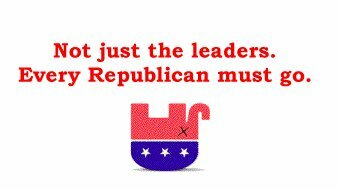 The President and Republican controlled Congress wants you to think that they're more effective in fighting terrorism and protecting our country than a Democratic controlled Congress could... Well their actions are speaking louder than their words! "It's not a matter of if they're captured and brought to justice, it's when they're brought to justice," Bush said. Asked about the search for bin Laden, the mastermind of the Sept. 11 terror attacks in the United States, and of the president's long-ago call for getting him "dead or alive," Bush said the search for bin Laden and his associates continues. Are you as outraged about this news as I am? Let your OUTRAGE be heard through your ACTIONS this November!!! We the People of the United States, in Order to form a more perfect Union, establish Justice, insure domestic Tranquility, provide for the common defense, promote the general welfare, and secure the Blessings of Liberty, to ourselves and Posterity, do ordain and establish this Constitution for the United States of America. Oh sure that's Texas, but here in Minnesota, I have a friend who brought ten acres in Farmington to build a home. She doesn't farm, has no equipment and no plans to farm, isn't a farmer, has never farmed... imagine her surprise when she got a check for several hundred dollars at the end of the year for not farming. Wonder why my check got delayed? "Beware of travel feature stories posing as invitations to terror. . . ."
What do Michelle Malkin, Minnesota's Powerline's John Hinderaker, Red State, and David Horowitz...all have in common? Well they're certifiably nuts just like their leader. "...totally the law of unintended consequences in the extreme.'" I'm not sure I accept his apology given that Bu$h is still in power...now if he could do something about that...we could talk some more. "But in the months and years since shock and awe I have been shocked repeatedly by a consistent litany of excuses, alibis, double-talk, inaccuracies, bogus predictions, and flat out lies"
...and who hasn't be shocked and awe by the idiot preznut...but it will take me awhile to come to terms with my new brother who admits 'he was wrong'. "The DFL Party will be the party that speaks out for the middle class. We will build an organized, inclusive party of the people that will lay out a positive agenda based on accountability, opportunity and fair play," declared Melendez. "It is past time to stop the misguided Republican agenda and we are going to do it here in Minnesota,"
Want change? Want a return to Minnesota values? Join us.